Following a standout high school career, Ausmus was drafted by the New York Yankees, who permitted him to attend Dartmouth College during the offseason. He ultimately graduated in 1991. Meanwhile, he spent five years in the Yankees farm system before being selected by the Colorado Rockies in the 1992 expansion draft. He made his major league debut the following year, after being traded to the San Diego Padres. 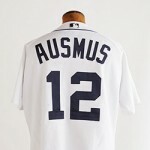 Ausmus was an All-Star with the Detroit Tigers in 1999 and won Gold Gloves with the Houston Astros in 2001, 2002, and 2006. 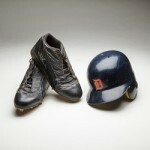 He finished his career ranked third in major league history in putouts and seventh in games caught. He has appeared in more major league games than any other Jewish ballplayer. He played on several postseason teams, but reached the World Series with the Astros in 2005. In the National League Division Series that year Ausmus’ two-out, two-run homer in the bottom of the ninth forced extra innings and positioned the Astros for a walk-off win in the bottom of the 18th. After his playing days ended, Ausmus worked in the San Diego Padres front office for three years before taking the managerial reins of the Detroit Tigers in 2014. Ausmus was the manager for Team Israel in the 2013 World Baseball Classic.